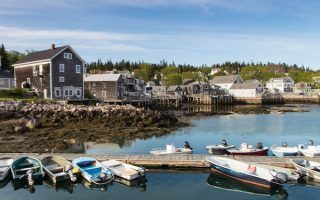 This is our guide to running in Mid-Coast Maine, focused on some of the signature towns popular with visitors: Brunswick, Bath, Rockland, Rockport, Camden, Boothbay Harbor, Belfast, Stonington, and Castine, plus the islands of Ilseboro and Vinalhaven. We’ve stretched it up to Acadia National Park area as well. Beach Runs. The coast is more rocky than sandy north of Portland. Popham Beach is a good running spot. Reid State Park offers Mile and Half Mile beaches. Shore Roads. Some lovely shore roads in Rockland, Castine, and Ocean Point. Hills and Challenges. Camden Hills State Park offers one of the highest points south of Acadia. Best Run to a Lighthouse. The route in Castine out to Dye Head Lighthouse. Best Big Loop: St. George. East to follow loops of 7, 9, 11.5 miles. Also a great 9-mile loop on Vinalhaven. Park or Preserve. Camden Hills State Park is a great running challenge, while Witherle Woods in Castine has 6 miles of coastal woodland trails. 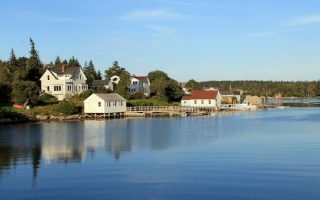 Best ‘Island’ Runs: Take the ferry from Camden to Islesboro and enjoy quiet coastal roads and gracious homes. 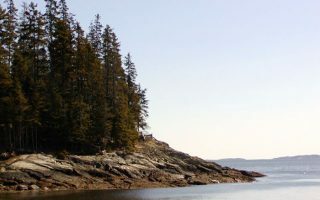 Vinalhaven offers 49 miles of quiet roads for running. Great Town Tours. Belfast, with its historic architecture, is an under-rated beauty. We also have good town tours of Brunswick and Bath. Note: The geography in this area is comprised of long coves, or ‘fingers’, with a town located on the coastal point. Often, the roads leading to those points aren’t great for running — they’re long, hilly, and often lack a decent shoulder. For even more great runs in Maine, see the links below. There are good running options in the Brunswick area. 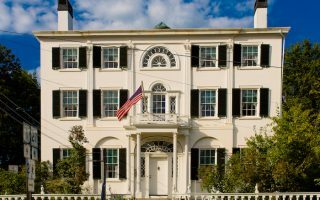 A 5-mile downtown tour features 3 bridges, historic buildings, and pretty waterfront paths. The Bowdoin campus is a treat. We also love the Town Commons Trails and Crystal Springs Farm Trails. This historic shipbuilding town has some excellent running. 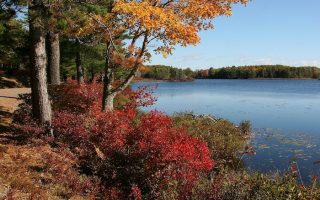 We've plotted a 5-mile waterfront route, including sections of downtown, and a 7.4 mile loop out to North Bath and looping back on the Whiskeag Trail. Additional routes in nearby Brunswick. One of the longer stretches of sand beach on the mid-Maine coast, and good for running. Pleasant road running out to Fort Baldwin and Hunnewell Point, with great water views. A full 'loop' of the peninsula is about 7 miles. Quaint coastal town, known for its coastal views, shops and restaurants, and as a departure point for ferries. We've mapped a 4 mile 'Boothbay Harbor' route, featuring great water views, and a 2.8 mile there and back along Shore Rd. on Ocean Point. 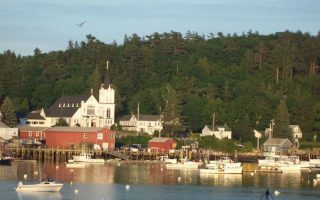 Known as “The Prettiest Village in Maine,” Wiscasset is a choice town for a residential/commercial run with an old timey seaport feel. 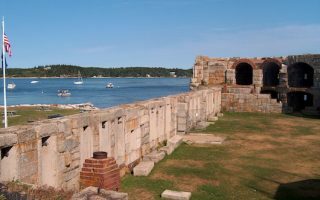 We've mapped out a gorgeous 5-mile run highlighting Wiscasset and over the bridge to Fort Edgecomb State Park. 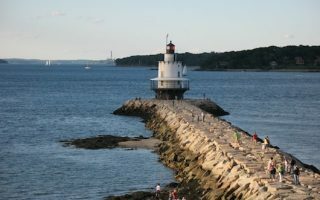 We've put together two great runs in this historic fishing village: A jaunt along the waterfront and quaint Main St., with its shops, restaurants, and galleries; And a route out to Breakwater Light, where you can run on large granite rocks for 0.7 miles to the lighthouse. St. George is one of the quieter spots along the Maine mid-coast. There's no signature coastal town, but the roads in this area are quiet, pastoral, and great for running. We've put together two easy-to-follow loop options of 7.2 and 11.4 miles. Rockport is the smaller cousin of Rockland (to the south) and Camden, which is 2 miles north. We've put together a route highlighting the prettiest streets of central Rockport and its harbor. 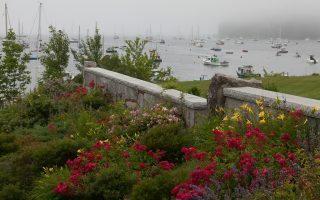 A 5-mile loop between the popular towns of Rockport and Camden. Lovely New England homes, occasional water views, and pleasantly shaded. This fairly hilly route mainly involves Bayview Ave. and Chestnut St. Good add-on opportunities at each end. This coastal fishing village is a popular visitor spot. We've mapped a 3 mile route from town, featuring views of Penobscot Bay. 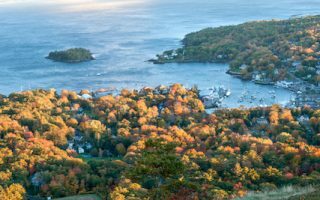 Camden Hills State Park offers a challenging run/hike up Mount Battie, with stunning views, or a 5-mile multi-use trail. 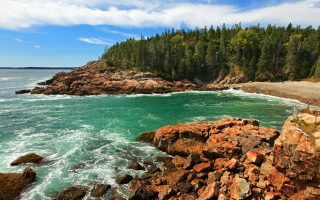 This beautiful island is located just off of Maine’s mid-coast, accessible by ferry from Camden. 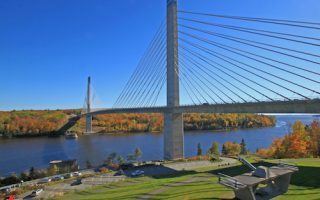 Great for running in the Penobscot Bay, with quiet roads, pretty foliage, and nice water views. We've mapped a 7 mile loop from the ferry terminal. Create your own route in this historic seaport town. A highlight is the 1 mile Harborwalk and footbridge. Then, enjoy some of the main streets downtown, which feature historic buildings and fun restaurants and shops. 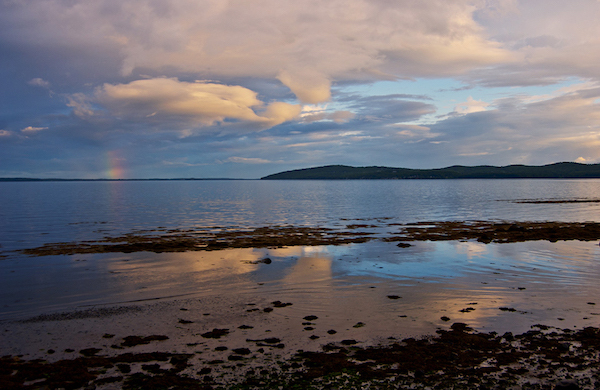 A charming midcoast Maine spot offering cozy inns, scenic views, and plenty of history. 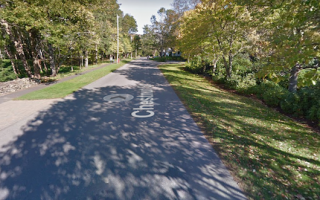 We have put together two routes for running in Castine, featuring its elm-lined main streets, waterfront roads, and trails in Witherle Woods. 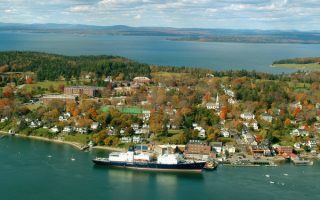 A pleasant 5-mile out and back run along the water from the center of this island town in the Penobscot Bay. Nice water views along Greenhead Rd. and Sand Beach Rd., with a short detour to Moose Island. This lobster fishery and summer colony, reachable via a 75-minute ferry from Rockland, features 50 miles of traffic-free roads. We've put together a 4-mile waterfront loop, and a 9-mile 'round the island' loop. The Park Loop Road is great for running, especially the 5 mile section between Seal Beach and Little Hunters Beach. The Carriage Roads are special for running, with many options. And for a true challenge, run up Cadillac Mountain! 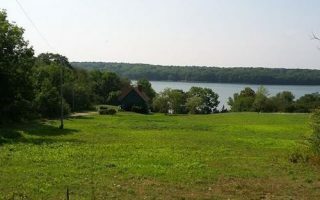 The climate in this area is highly influenced by the coastal location but is still typical of New England, with cold winters and warm summers. June through September are generally delightful, with lots of sunny days and high temperatures in the mid-70s in summer. 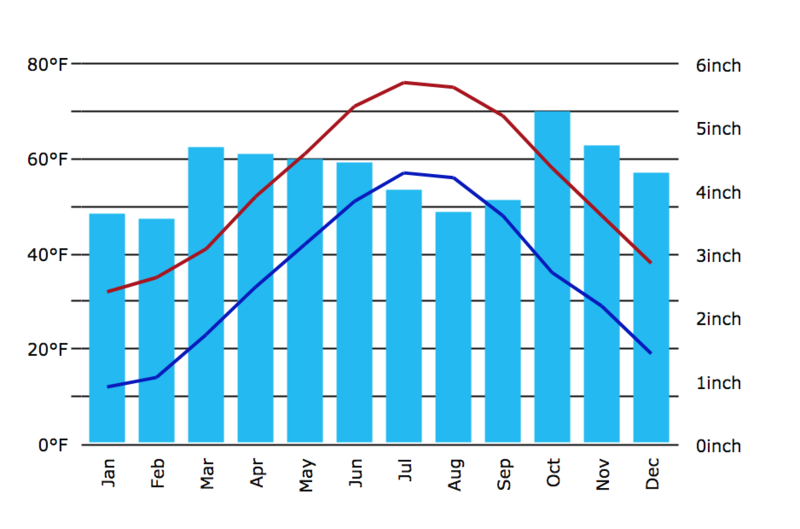 The ocean typically keeps things 5-10 degrees cooler in summer and 5-10 degrees warmer in winter. Nights, even in summer, can be cool-ish, so pack a layer. 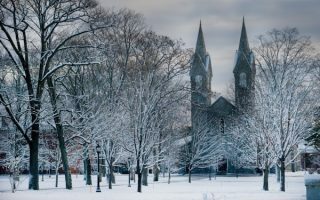 In winter, there are plenty of gloomy days, with highs hovering around freezing and nights dipping into the low teens. Surfaces can be snowy and icy. There can be storms and nor’easters in winter, though the southern Maine coast is not quite as exposed as the outer Cape and the Islands. In winter, the ocean can effect precipitation, resulting in ice and rain while it might be snowing a few miles inland. Fleet Feet Maine Running in Brunswick is the only independent running store on Maine’s MidCoast. Great store and people. They’re involved in sponsoring many local running events and run clubs. Free Group Runs Mondays & Wednesdays at 6pm, Saturdays at 8am, generally starting in early April. Cadillac Mountain Sports. All sorts of outdoor gear, including running stuff. In Bar Harbor. 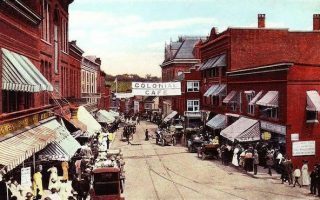 Calendar of events in southern NH and area.